In my first article, we looked at how advancements in the areas of psychosocial issue management, litigation strategies, and opioid prescribing have driven better claims performance in the past five years. In particular, we quantified what high performing claims organizations are doing significantly more of in these areas compared to their peers. Claims innovation and employee service transformation is happening more rapidly than we may give our industry credit and high performers are setting a solid pace for the rest of workers’ compensation to keep up with…or not. As with my previous article, I’ll use findings from Rising Medical Solutions’ annual Workers’ Compensation Benchmarking Study, as well as observations from our payer clients, to give us access to thousands of data points and a broad tapestry of claims experience. This includes using the Study’s stratification of high claims performers from low performers, as measured by their respective claims closure ratios. What follows is a discussion of three more cost drivers that, when claims staffs influence them effectively, total claims costs can decline by a quarter or more and outcomes are better. Much of today’s medical care can be unfocused and padded with unnecessary procedures. That’s why experts say the country’s entire healthcare expense could be shaved by 30% with no decline in quality or outcomes – and, more likely, with improvement in these areas. Today’s claims teams are better equipped to identify unproductive care and get treatment back on track towards the best claims outcome, which claims leader define as an “employee’s return to the same or better pre-injury functional capabilities” according to the Workers’ Compensation Benchmarking Study. For instance, in contrast to five years ago, it is easier today for claims information systems to match every medical diagnosis code with actual treatment codes, and, comparing with treatment guidelines, instantly discern when treatment departs from the norm and alert the adjuster and/or managed care team. The information system can also develop, independently of actuaries, a forecast of future medical costs. Action Item: Like the leading claims teams, develop integrated systems across multiple programs to generate targeted medical interventions. Higher performers integrate their claims system with their diagnostic testing and fraud / abuse detection programs at four times the rate of lower performers, and at five times the rate for their bill review, evidence-based medicine, nurse case management, pharmacy benefit management, predictive modeling, and utilization management programs. Most managed care budgets are oversized. Managed care costs in the past 25 years have risen at a much faster pace than have medical expenses and indemnity payments. Experts estimate that as much as 20% of these costs could be eliminated if the industry simply improved the targeting of their intervention efforts. A quick way to grasp the problem is to look at case management assignments, peer reviews, and independent medical exams which continue to be used in a blanket, “just in case” approach by too many organizations. Similarly, when more than 50% of utilization review requests are approved as requested, we have to question whether there are opportunities to refine our use of the tool. To correct the over-use of expensive managed care tasks, I suggest two actions. Action Item: Align incentives with your managed care partners using risk / reward models. With nine out of 10 medical management programs surveyed being predominately outsourced, and medical management consistently ranked by claims leaders as the number one core competency that most impacts outcomes, a risk / reward strategy should propel to the forefront. Yet, only 24% of claims organizations utilize risk / reward models to manage the performance of their medical management partners, with higher performing claims organizations doing so six times more than lower performing counterparts. The advances in claims management in the past five years can be summarized as empowering the adjuster to maximize her talents and focus on high priority interventions. By enabling her to concentrate on the demanding tasks that only she can do, claims technology enhancements have effectively widened the adjuster’s bandwidth and problem-solving speed. These systems can, especially through data visualizations, alert and coach her. When asked what claims organizations are doing to increase adjuster efficiencies, higher performers report an increased investment in IT resources to integrate systems six times more than lower performers and offloading administrative tasks five times more. They also utilize claims system workflow automation and predictive analytics at six and eight times the rate respectively. Claims advocacy would appear, at first glance, to burden the adjuster with more and lengthier exchanges with the employee. In fact, this model of claims management on net reduces clutter and distracting work because problems are anticipated in this proactive model and, when they emerge, high performers are using prescriptive analytics (at three times the rate) and other predefined intervention measures to aggressively manage issues. This is a stark departure from our reactive, compliance and task-based claims handling models of the past. Action Item: Use a data warehouse to integrate claims, medical bills, legal documents, case management files, and numerous other data sources into a coherent display of a claim. The day of searching for that bit of information is gone. About half of all organizations use a data warehouse today, and usage among high performers is five times the rate of lower performers. Action Item: Adjuster teams are more focused when they use measurable claims outcomes. Do what 41% of claims organizations teams do, which is leverage various outcome-based systems / data (e.g. evidence-based guidelines), and top performers do so six to 10 times more. This finding confirms many informal impressions that the average claims organization remains wedded to process management as its key business endeavor, rather than outcomes management. In these two articles, I have described six claims cost drivers and ways in which advances in claims management have been reducing them. I’ve cited several Action Items, but there are plenty more. Psychosocial issues, litigation rates, opioid prescribing, unfocused medical care, managed care costs, and adjuster overload and distraction – they will remain key cost drivers for some time. Exploiting advances in claims management can and will impact these expenses. The means, and the supporting data, are available today. 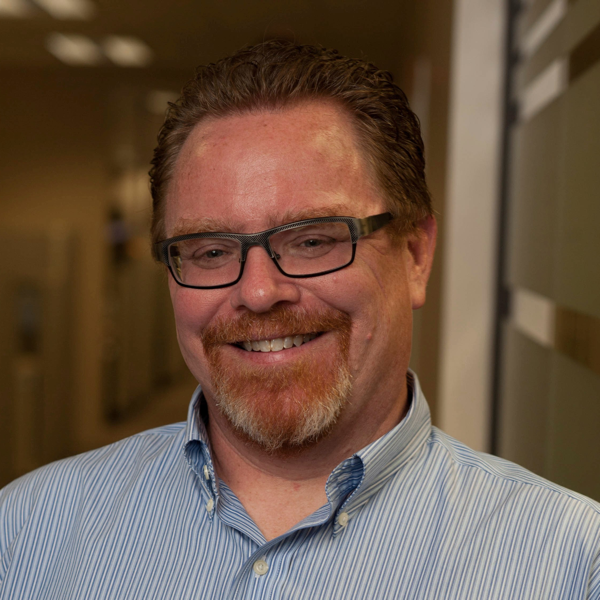 A 30-year industry veteran, David serves as Chief Operating Officer at Rising Medical Solutions where he leads full lifecycle product development through customer delivery for the company’s medical cost containment and medical care management offerings. Specializing in strategic planning, operational improvement, and financial and data analysis, David has held executive positions with workers’ compensation, auto, and group health entities nationwide. Prior to joining Rising, David served as Vice President of Strategy for Optum’s managed care and settlement solutions division. Before Optum, he was a partner at consultancy Maddy Bowling & Associates, where he advised national carriers, third party administrators, Fortune 100 employers, state/federal regulators, and managed care organizations for over 15 years. David holds a Master of Business Administration from Northeastern University and a Bachelor of Arts in History from Dartmouth College. Rising Medical Solutions is a national managed care firm that provides medical cost containment and medical care management services to the workers’ compensation, auto, liability and group health markets. Rising also directs and publishes the annual Workers’ Compensation Benchmarking Study, a national research program examining the complex forces impacting claims management in workers’ compensation today.